This would be a picture I did specifically for my boyfriend Deejay. 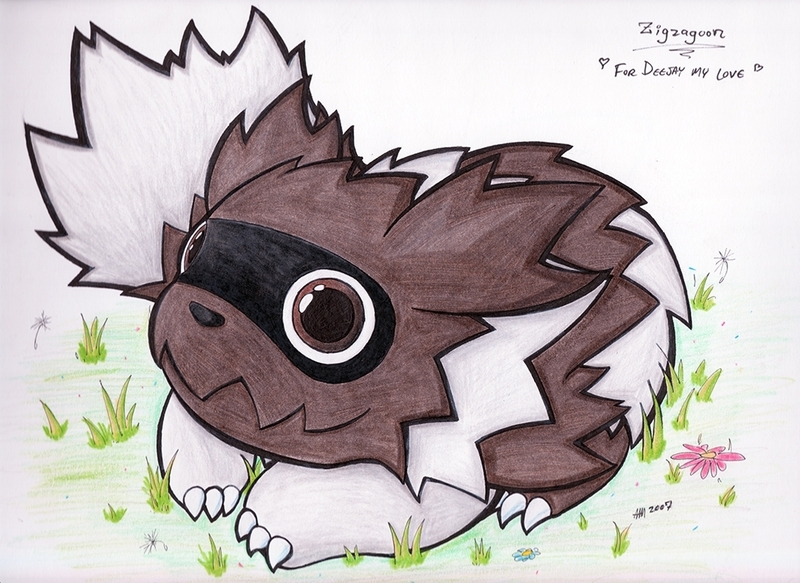 I know he doesn't like Pokemon very much but the one he does like is Zigzagoon so I drew him a cute little one. Personally, I think this turned out great! It deviates from the official art style a bit by adding more lineweight as well as a certain shading style - but I totally thinks that makes it better. This one turned out great not only for the linework and the colouring/shading, but mostly because he turned out to be SO cute!